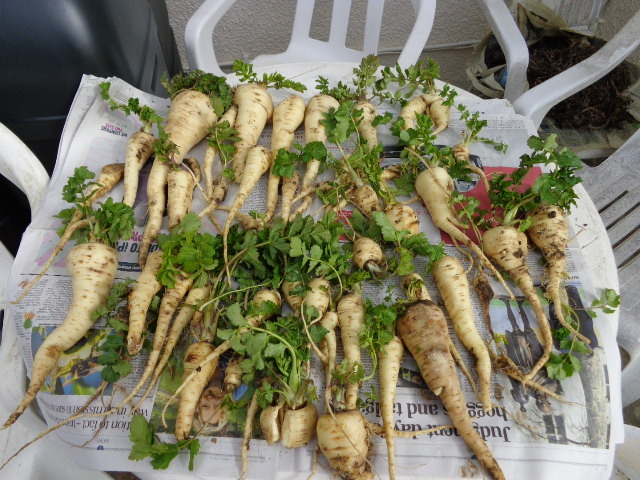 A great haul of parsnips! 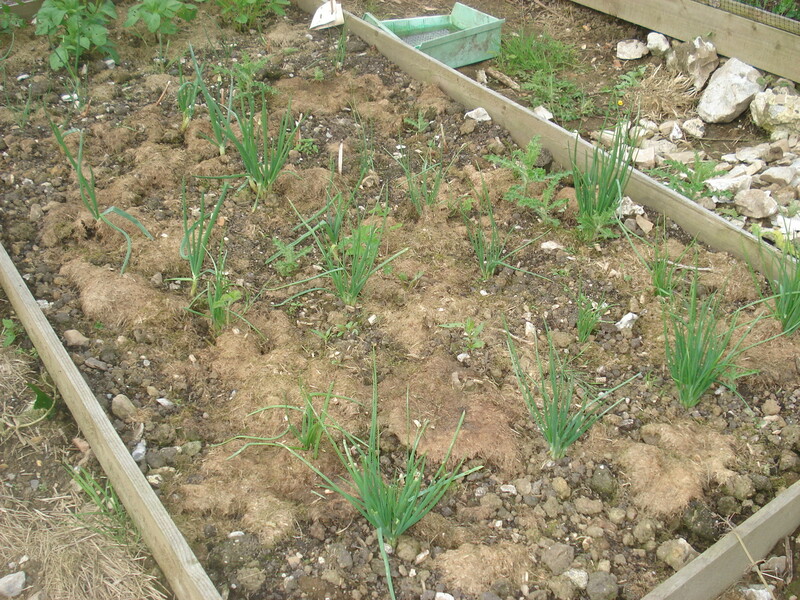 We have been digging over the vegetable beds, weeding them and preparing them for Spring sowings. 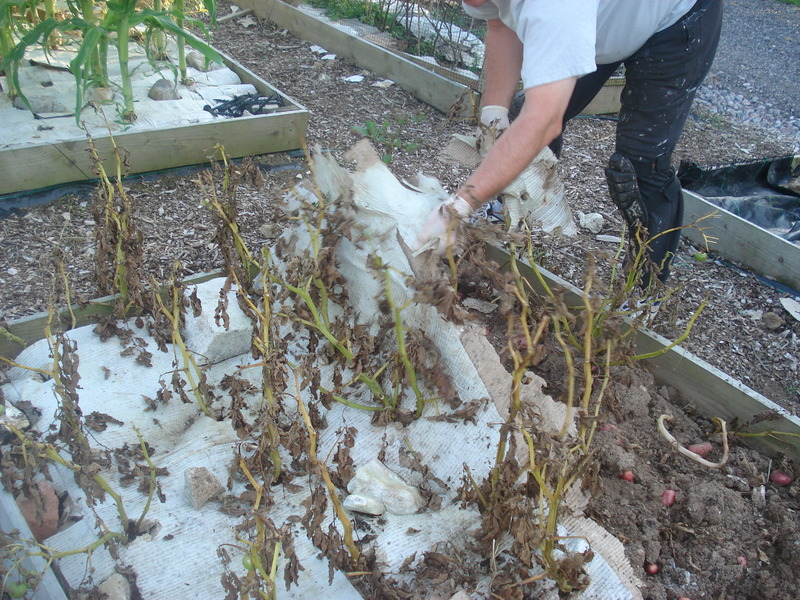 Yesterday Neil tackled what he thought was some weeds and lo and behold he dug up a marvellous haul of parsnips. 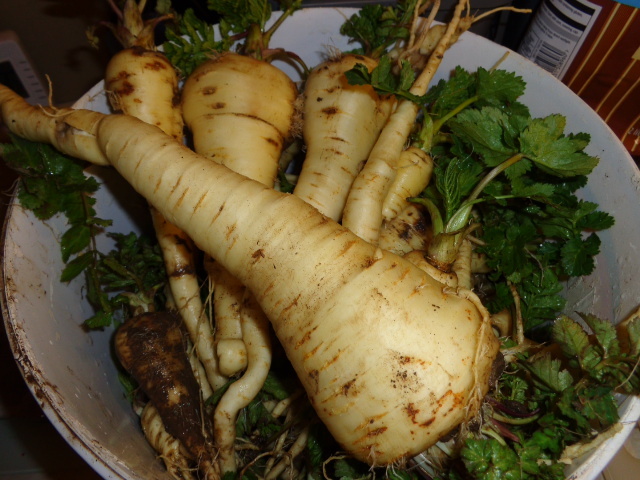 It was quite a surprise as I had already dug up some parsnips a month or so earlier and thought that was all there was. 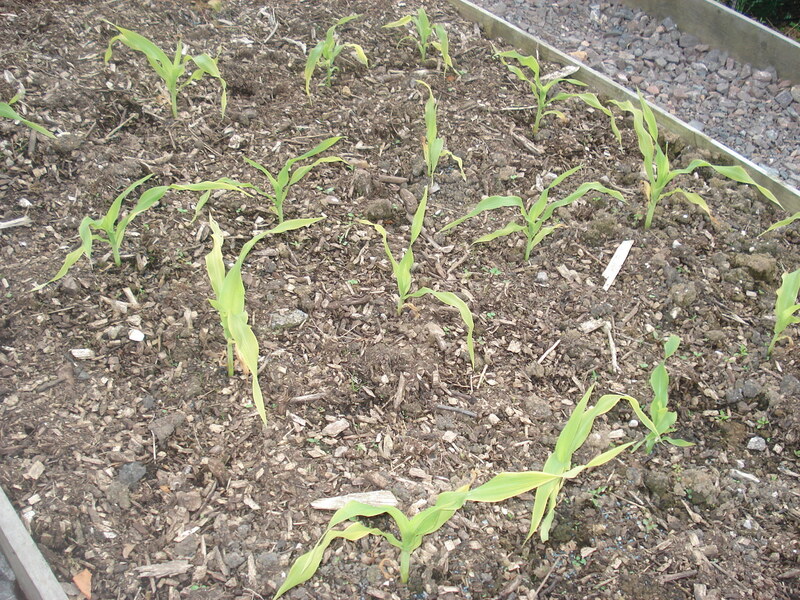 I had grown these from seed but obviously not marked the place very well, so we had not realised there were more. We shall be eating parsnips with everything over the next few weeks. I do love roast parsnips, especially with a little cumin sprinkled over the top!! I’m looking forward to peeling that large one on the top!! 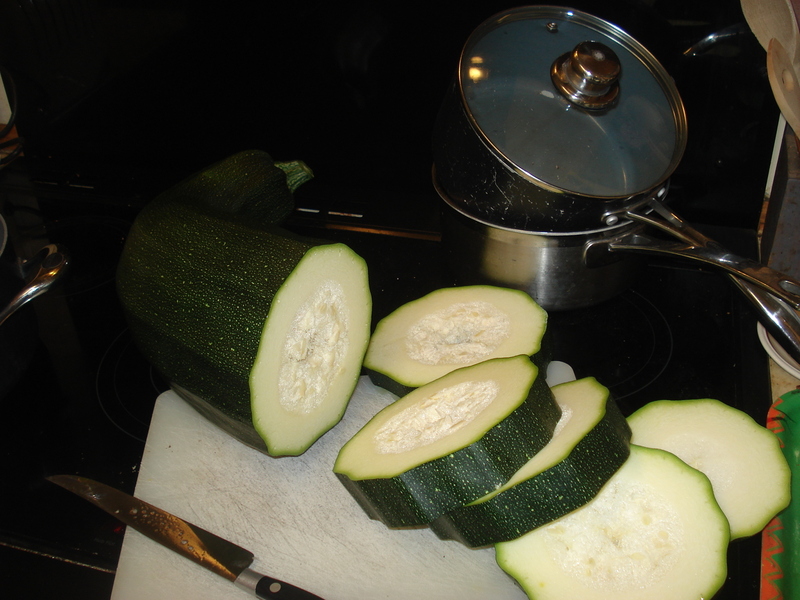 I have been letting some of our courgettes (zucchini) grow into marrows to cut up for food for the chooks. Today Neil picked this one which weighed 7lb 12 ozs, that’s as much as an average baby!! I chop it up and then stew it up for a short while to soften it. Our chooks are well spoilt! 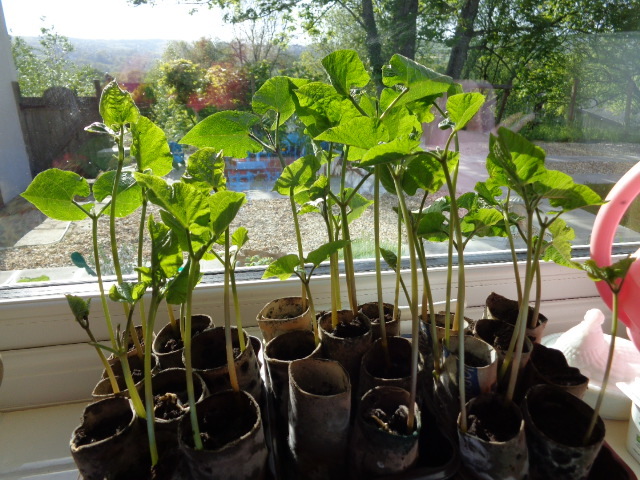 There are a couple more really large ones growing on the plants which I have left to grow into marrows. The others I either pick really small and we eat raw in salads, or normal size to cook up for ourselves. These plants really do keep on giving!! 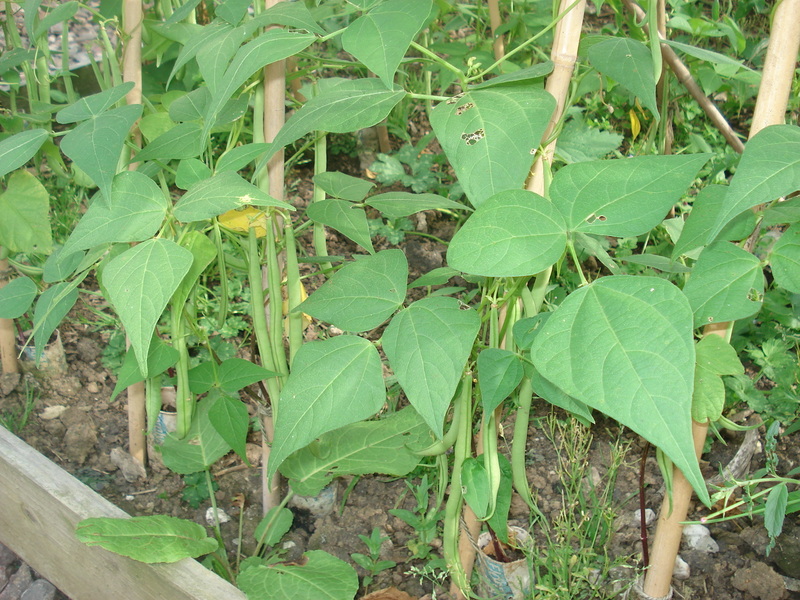 This year, as well as runner bean I planted a dedicated line of climbing French beans alongside bean poles. 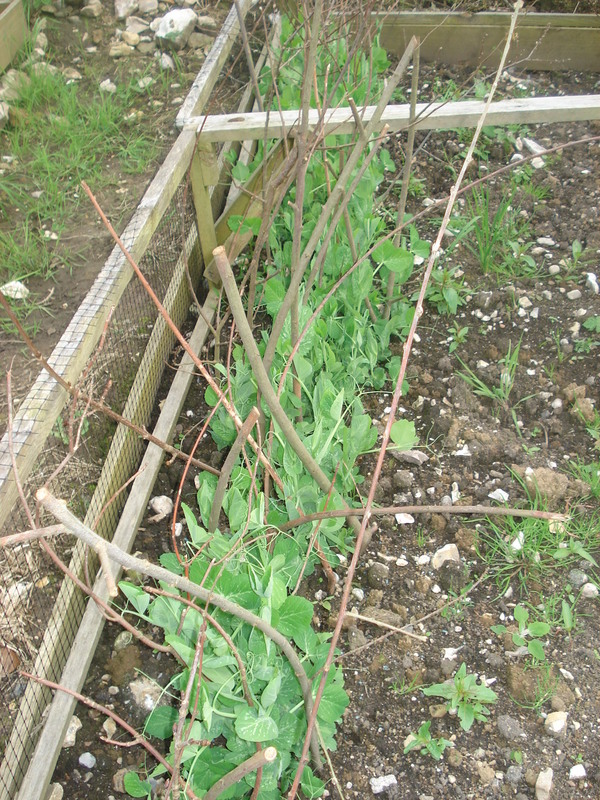 Unfortunately some deer got in and munched all the emerging shoots of the beans and stopped them from climbing up the bean poles. But Mother Nature is so clever! 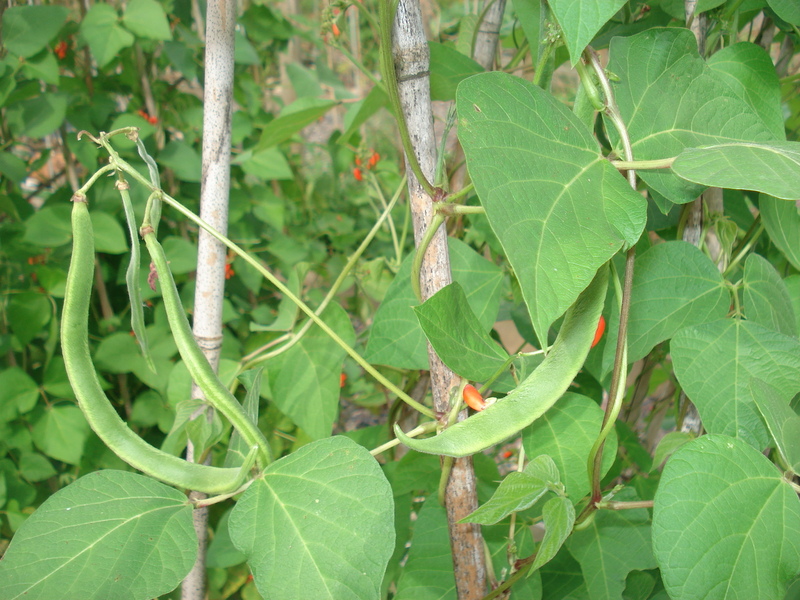 What did the French beans do? 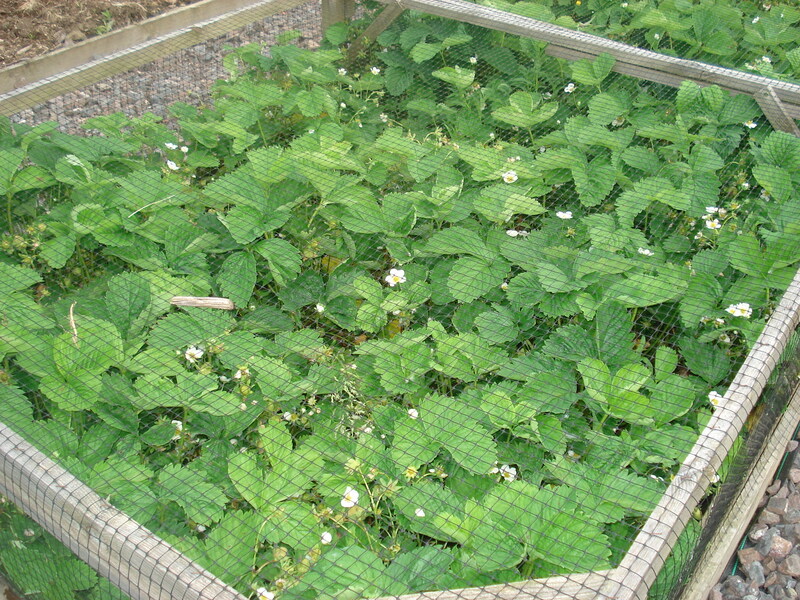 They produced all their beans really low down on the bit of plant that was still alive. 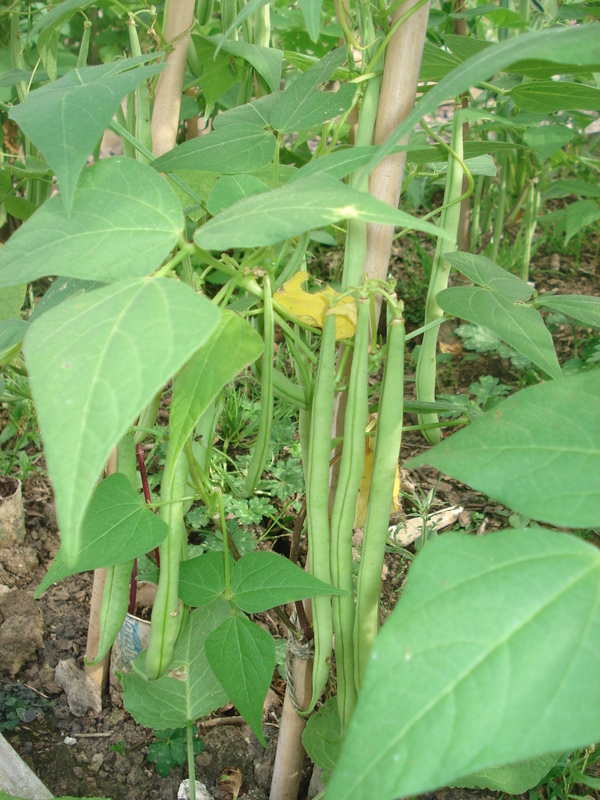 And some of the beans are really long, about 7 or 8 inches, much longer than you see in the supermarkets. 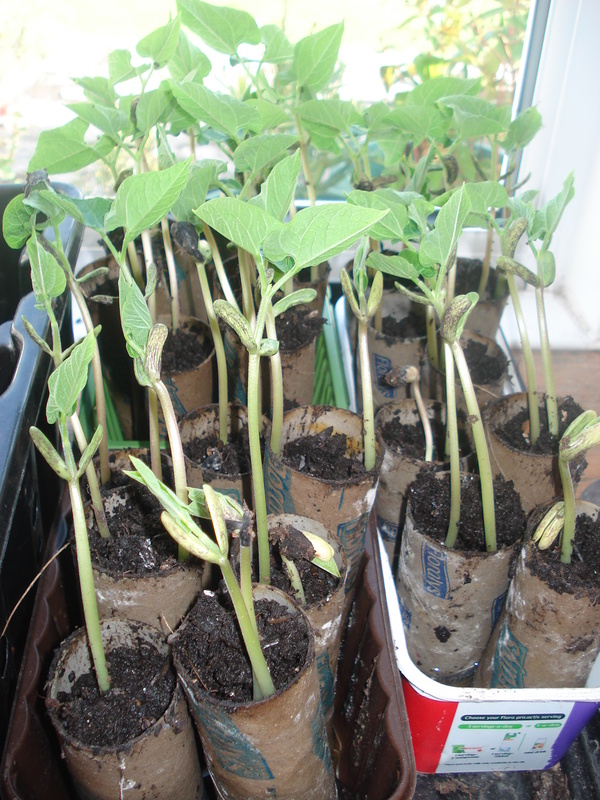 I think its pretty clever that all the bean pods have grown at the bottom! I thought our crop had been ruined, but not so!! 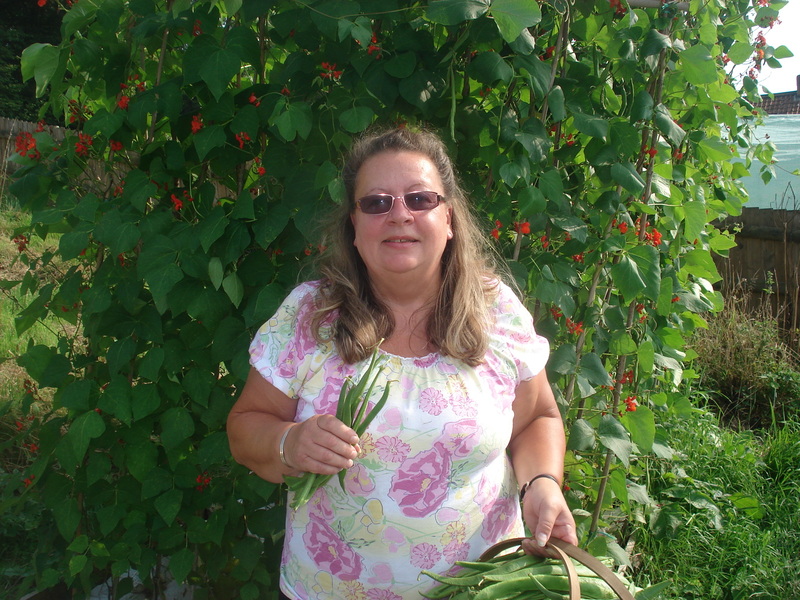 Also today I picked the first of our runner beans. 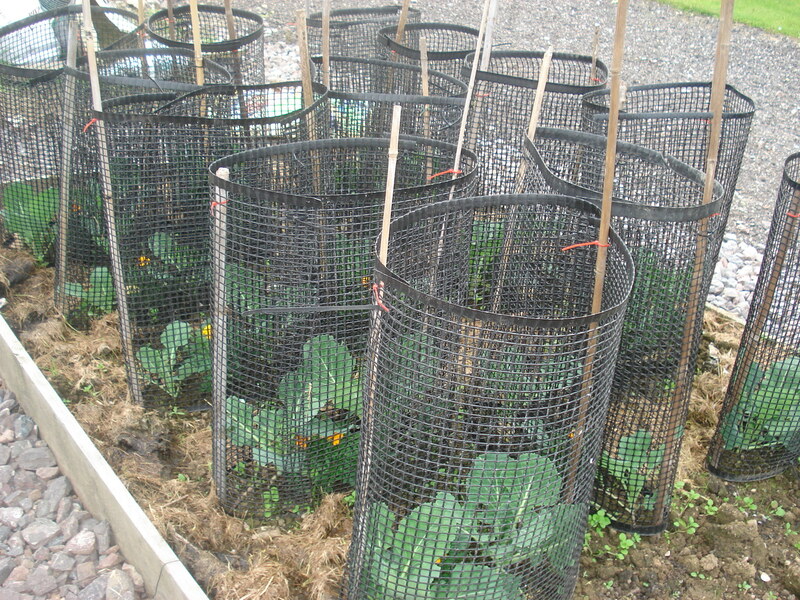 They were similarly munched by the deer but managed to put out other shoots and still climb up the bean poles. 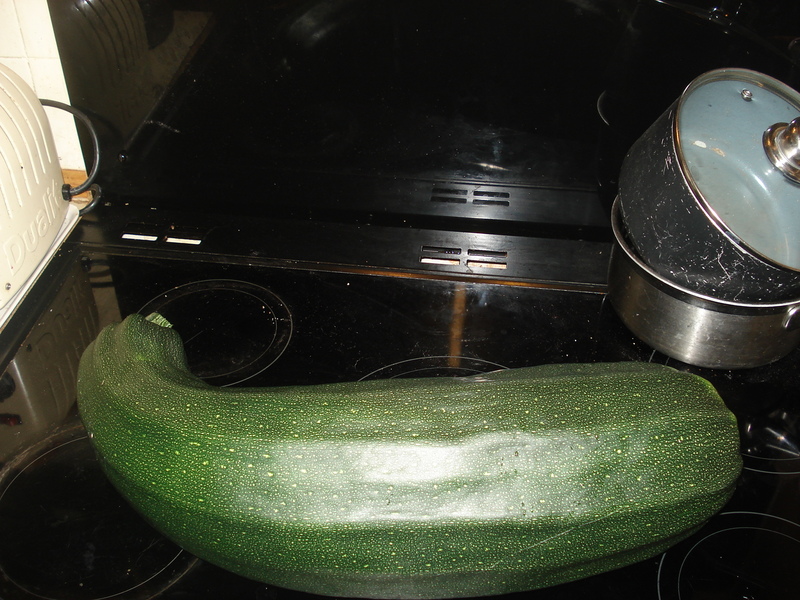 I have also been picking the courgettes (zucchini) and let one or two of them grow really large into marrows to cut up for the chickens. 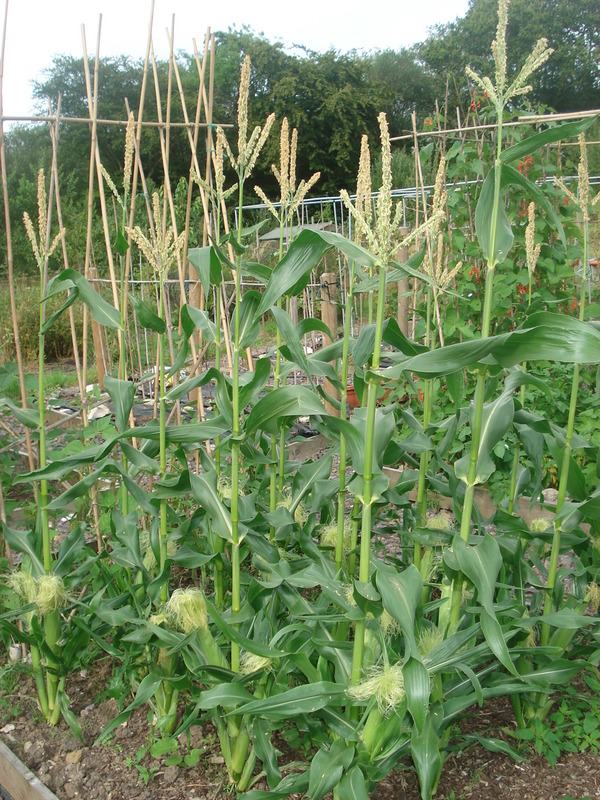 It’s going to be a bumper year for all our crops this year. 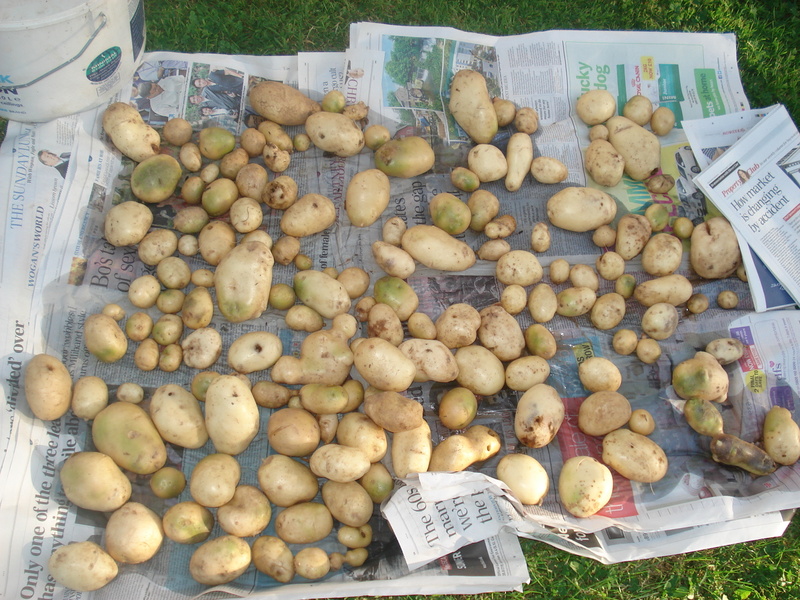 We’ve had a really good crop of potatoes. 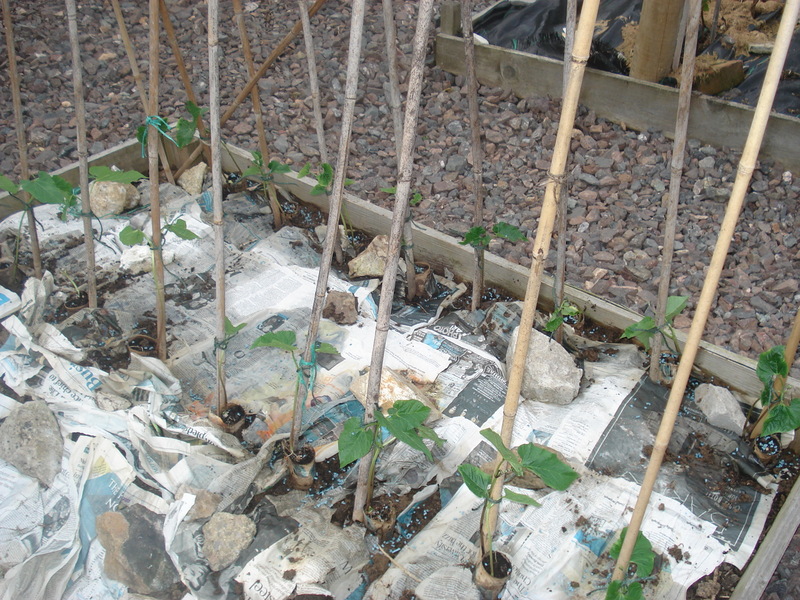 For regular readers of my blog you will remember that we tried the no dig method of planting through cardboard to stop the weeds coming up. 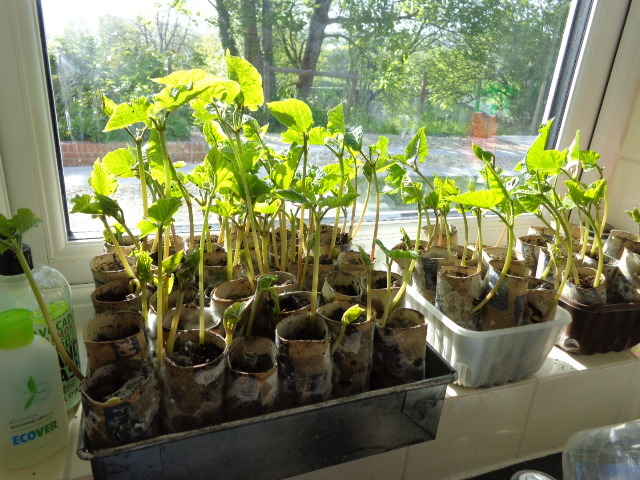 The potato plants grew up and we didn’t have to earth them up. So when the foliage died back we started harvesting them. Yesterday we dug up the rest. Firstly we pulled the cardboard away. 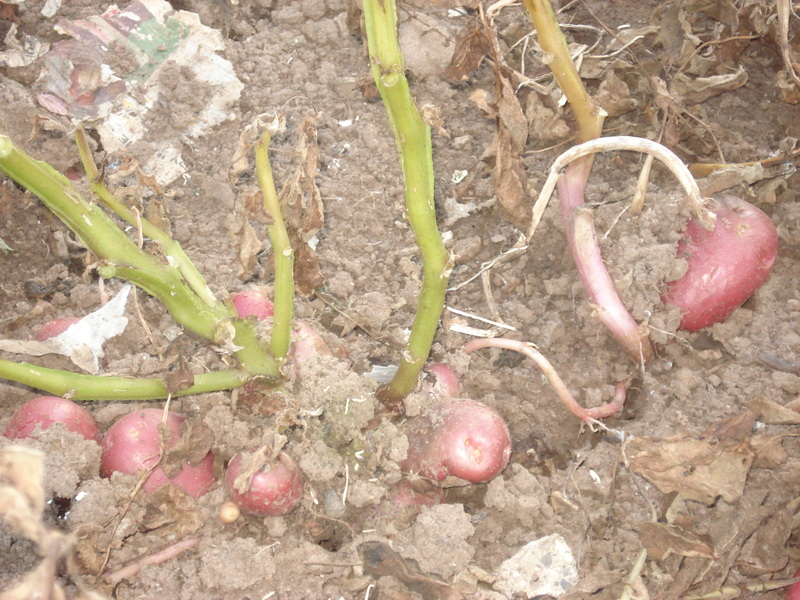 This exposed some potatoes near the surface which meant we did have a few with a little green on them unfortunately. 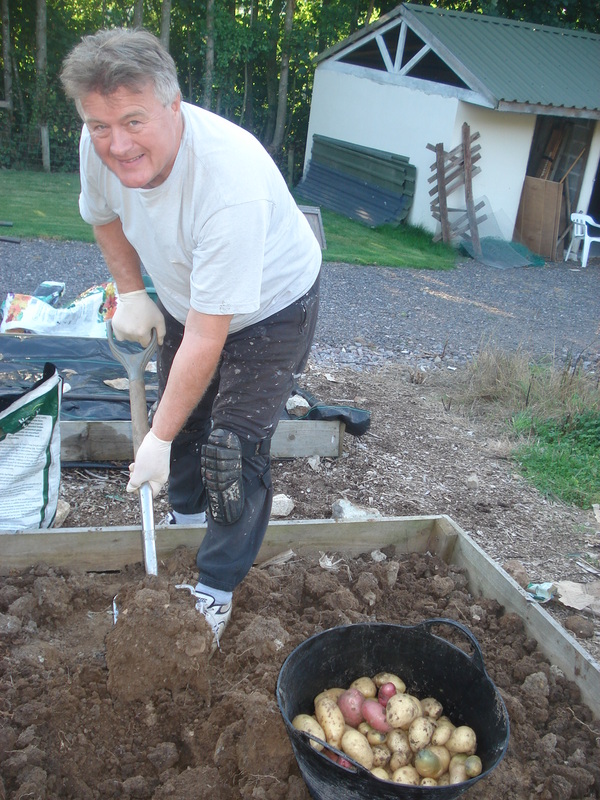 Then Neil dug up the rest. Our first earlies were Aaron Pilots which were quite successful. 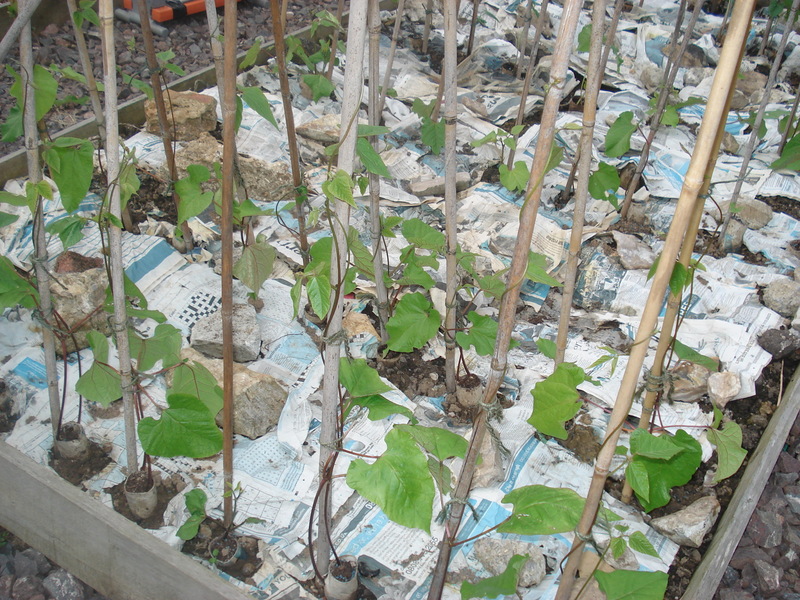 For maincrop we had planted Desiree and Maris Piper. 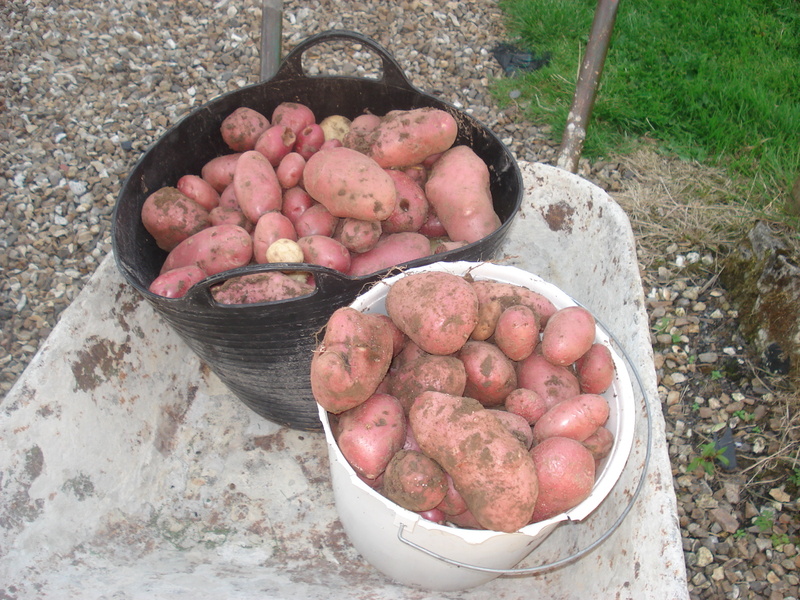 I haven’t weighed them yet but I think we have a fair few pounds, enough to last us well into next year, so now we need to wash, dry, and store them in a hessian sack out of the light. 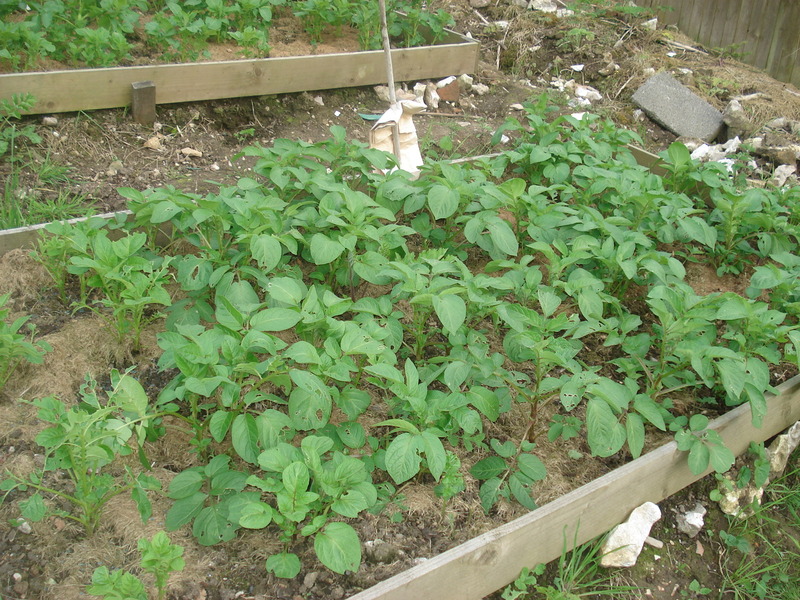 There’s nothing quite like home grown spuds, steamed with a bit of fresh mint – lovely – no food miles here. We still have some vacancies in the B&B in September so contact us for more details. 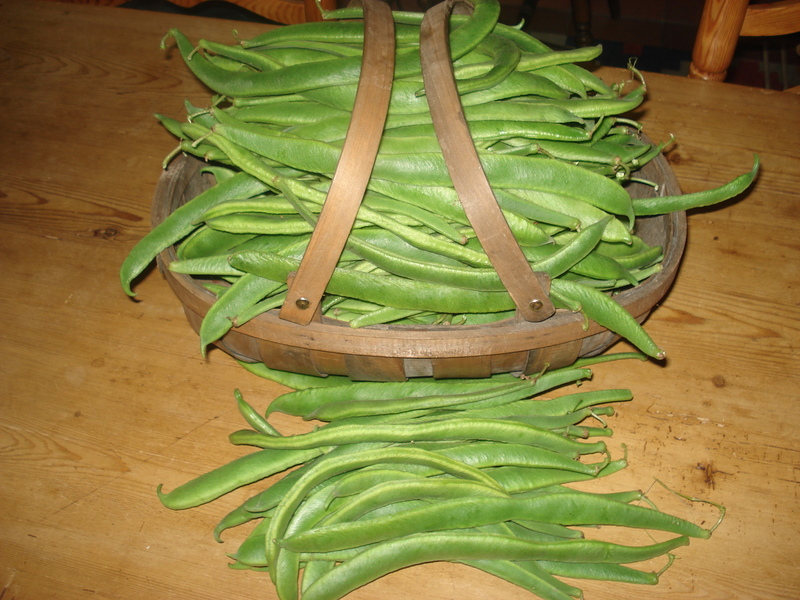 Our runner beans are plentiful and we do so love them. 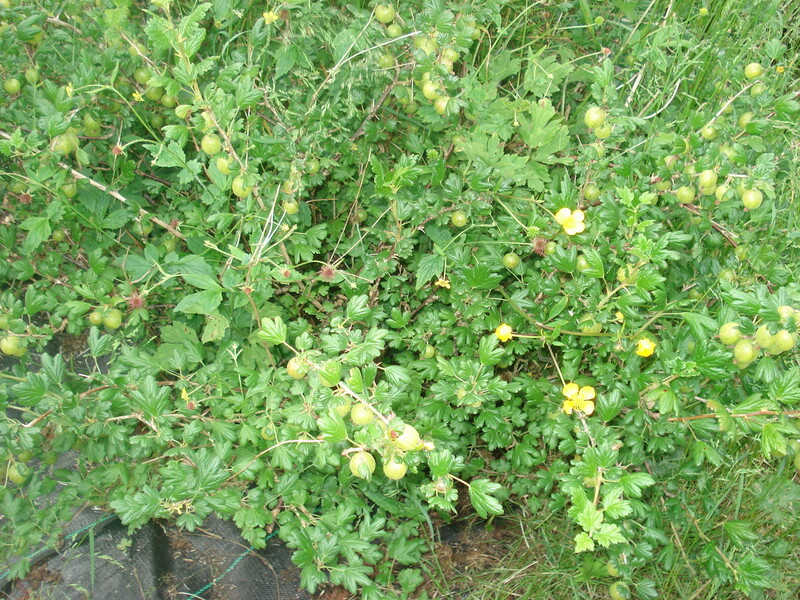 I went picking this afternoon and picked loads. We are having them for dinner every night, but we don’t mind as we love to eat fresh and in season, they don’t taste the same if you freeze them. 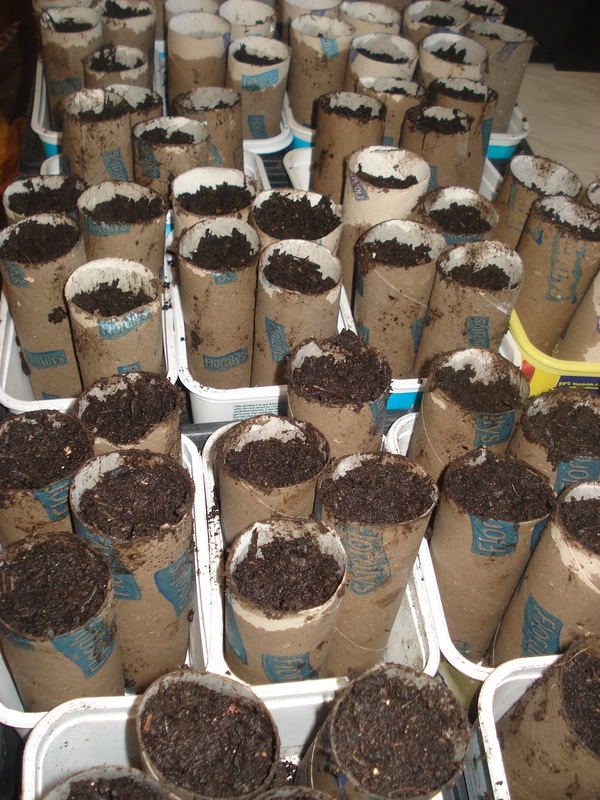 We have enough to share with neighbours and friends and in turn they supply us with some things we can’t grow as we don’t have a greenhouse yet.